Large shrimp sauteed with garlic, ginger, golden onions, tomatoes, and green peppers. 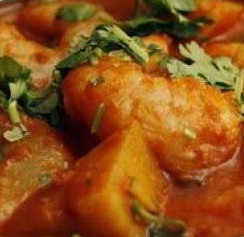 Large shrimp cooked with fiery red hot spices. A specialty from Goa.